ALOHA & e komo mai (welcome). To The Hawaii Condo Guide – whether you’re buying or selling, I’ll guide you through your Hawaii real estate transactions with the expertise that results in on time closings. What I offer Buyers: No required registration. You can search for available properties in complete privacy and anonymity, contacting me when you want to take the next step. Using my online Condo Guide you can research all of Hawaii’s condos to find the properties that best fit your lifestyle: location, size, floor plans and amenities. Looking for a new home or investment property ? Use our custom Google maps to view neighborhoods for schools, playgrounds, beach parks and facilities. Then contact me and my associates to help you purchase the property that’s right for you. Are you dreaming about a Hawaii vacation home ? Let me show you properties that can pay for themselves, while they’re paying for your vacations in Paradise ! Ask me about Beachfront homes or Waikiki condos that fit your lifestyle and finances. Military servicemen and women. Use your BAH to pay your mortgage and build equity in your home with no down payment . Your Hawaii VA loan limit is $741,250. You may still be eligible for your home in Hawaii even if you already have a VA loan Remember, Renting is giving your BAH to your landlord; you could be giving it to yourself Using your BAH to pay your mortgage has averaged over 5% per year return for the past 26 years since 1985 Use your BAH to grow your own wealth, not the landlord’s; Our VA Loan experts will show you how. SELLERS Your listings will be highlighted as Featured Properties on our high ranking Condominium Guide's pages as well as the Honolulu MLS and assorted other major online services that are part of our marketing network. Contact Marty now for maximum exposure to buyers already interested in your building. 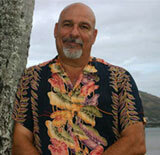 We are happy to share our years of experience in Hawaii’s real estate market. The Hawaii State Condo Guide is one of the finest real estate information resources in the State of Hawaii. For the first time, every condo development throughout our island chain: from affordable housing units and condohotels, to the sky high luxury complexes and gated golf course communities are listed, profiled, organized, and cross-referrenced. www.thehawaiistatecondoguide.com is a gold mine of information for prospective buyers, whether owner-occupant or investor and for renters looking for a long term home or a vacation location. As a boon for condo associations and individual owners, The Condo Guides information packed pages will provide the fuel that keeps their sales and rental markets active. Each page contains a condo development’s information; including it’s vital statistics, public records, local schools, and floor plans ( when available). There are itemizations of features, inclusions and amenities, and of course, policies regarding pets. Additional information and sales histories for each condo will have be available upon request; we work with a team of experts to gather the information that will help You make a educated decision about Your Hawaii Real Estate transaction.